Communist forces in the Vietnam War lost most battles and suffered disproportionally higher casualties than the United States and its allies throughout the conflict. The ground war in South Vietnam and the air war in the North were certainly important in shaping the fates of the victors and losers, but they alone fail to explain why Hanoi bested Washington in the end. To make sense of the Vietnam War, we must look beyond the war itself. In his new work, Pierre Asselin explains the formative experiences and worldview of the men who devised communist strategies and tactics during the conflict, and analyzes their rationale and impact. 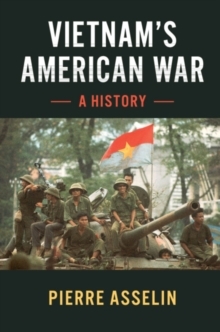 Drawing on two decades of research in Vietnam's own archives, including classified policy statements and reports, Asselin expertly and straightforwardly relates the Vietnamese communist experience - and the reasons the war turned out the way it did.